President Donald Trump Speaks Out On The Neo- Nazi And KKK Rally !! 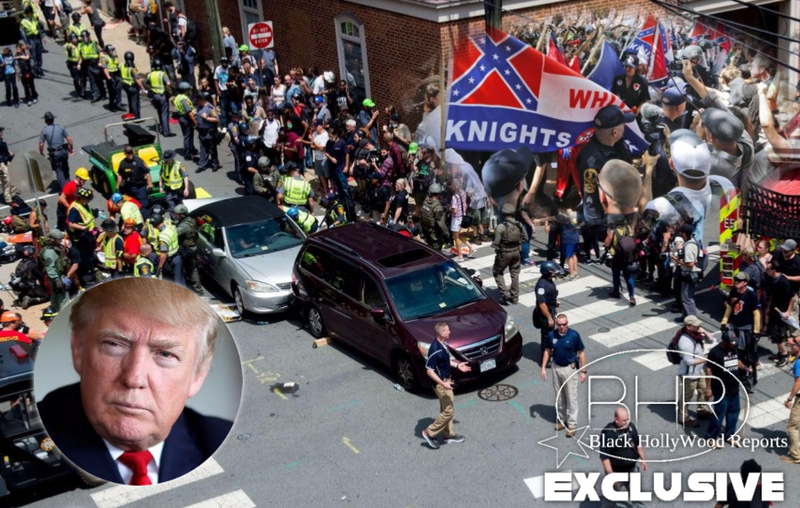 BHR Hollywood Reports..........President Donald Trump condemned hate groups, including white supremacists, in remarks from the White House on Monday, after receiving criticism for his initial statement on the violence in Charlottesville, Virginia, over the weekend. 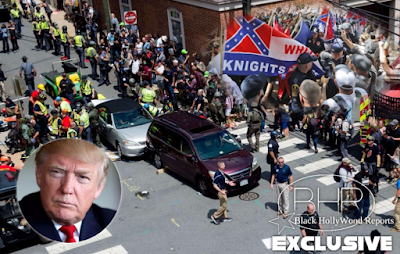 "Racism is evil," said Trump, two days after a driver rammed a car into a crowd of people in the midst of violent clashes over a white nationalist rally in the city. "And those who cause violence in its name are criminals and thugs, including the [Ku Klux Klan], neo-Nazis, white supremacists and other hate groups that are repugnant to everything we hold dear as Americans." Trump's immediate response to the violence, which did not label the ramming an act of terrorism or include a denunciation of white supremacists, was met with bipartisan backlash. In remarks on the rally and subsequent clashes from his golf club in New Jersey on Saturday, he condemned the "egregious display of hatred, bigotry and violence on many sides." Critics slammed Trump for waiting too long to address the bloodshed, as well as for initially saying that "many sides" were involved, instead of singling out the white supremacists widely seen as sparking the melee. Several senators from his own Republican party had harsh words for him. A 20-year-old man said to have harbored Nazi sympathies was facing charges he plowed his car into protesters opposing the white nationalists, killing 32-year-old Heather Heyer and injuring 19 people. 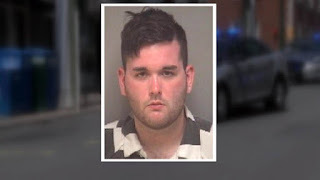 The accused, James Fields, was denied bail at a court hearing on Monday. Trump said anyone who engaged in criminal behavior at the rally would face justice, the Republican president said. "I wish that he would have said those same words on Saturday," responded Democratic Senator Mark Warner of Virginia on MSNBC. "I'm disappointed it took him a couple of days." As the chorus of outrage over Virginia grew louder on Sunday, Trump stayed silent on the matter while at his golf course in Bedminster, New Jersey.